The Sandpoint chapter of Citizens Climate Lobby is hosting an event Jan. 16 with Sandpoint High School students and climate scientist Steve Gahn to talk about common misconceptions about climate change and what can be done to fix problems. While many countries around the world have virtually stopped debating whether climate change has rapidly increased due to human activity and instead focused on what to do about it, there are still many people in the U.S. who aren't on the same page. That's partly why the Sandpoint chapter of Citizens' Climate Lobby (CCL) is inviting the community to talk about common misconceptions surrounding climate change next Wednesday with Steve Ghan, a highly cited climate scientist, says Gabrielle Duebendorfer, founder and president of the Sandpoint CCL chapter. "Our main goal for the event is to get more conservatives and people who are on the fence to come," Duebendorfer says. 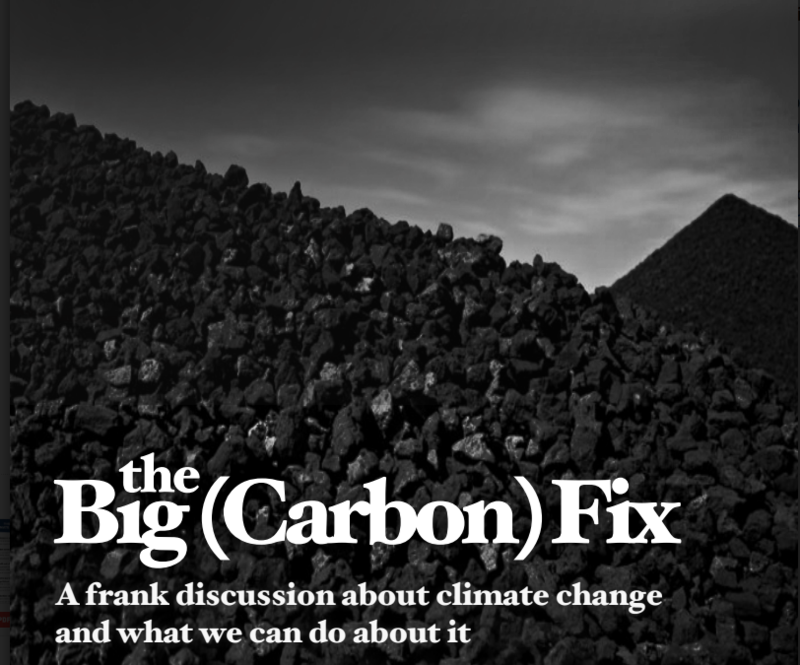 At the event, dubbed the Big Carbon Fix, Ghan will speak with community members and high school students in Sandpoint who have been studying the causes of, impacts from and solutions for climate change. About 50 students have been working in teams to prepare posters that will be on display. To reward the students' hard work and encourage participation, the Idaho Forest Group has provided $1,000 in prizes, Duebendorfer says. "We have a world-renowned climate scientist coming to speak, and he’s focusing on dispelling myths about climate change," Duebendorfer says, "basically addressing misunderstandings about climate change not just from a scientific perspective but from a social perspective as well." Nationally, the CCL is pushing for legislation that would put a fee on carbon pollution and return the proceeds as a dividend to Americans. The idea is that as polluters are charged more for dumping gases and pollution into the air, the logical and economical shift will be to opt for cleaner technology. In the meantime, the dividend is meant to offset rising fuel and energy costs for low and middle income families. That legislative push will likely be discussed at the Big Carbon Fix event too, Duebendorfer says. Doors open for the free Jan. 16 event at 5:30 pm, in the Sandpoint High School auditorium. The program will start at 6 pm, and organizers expect a full crowd.